At Raul's Auto Repair, we want our Azusa customers to have the opportunity to feel comfortable in their vehicle. You can leave the repairs and services to our professionals, but please don't hesitate to ask us questions about why a service is needed or how it occurred. Give us a call at 626-339-7566, and we will be happy to speak with you. Here is some valuable information on brake issues and corrective services Raul's Auto Repair offers. Anti-lock Brake Systems (ABS) ensure that the wheels don't stop rotating during braking, preventing the car from skidding and offering greater control. If your ABS light comes on, visit Raul's Auto Repair where we will be happy to diagnose and fix the problem. Brake fluid will absorb water from the air over time, causing the brake system to become less effective and the fluid to become corrosive, possibly damaging the system. It is important to perform a brake fluid flush regularly to ensure that your vehicle is using fresh fluid. Talk to our technicians at Raul's Auto Repair about when it's time for a brake fluid flush. The brake caliper houses your brake pads and fits around the rotor like a clamp, pressing the pads against the rotor when you brake. A brake caliper problem could cause uneven braking, making your car slide forward when you brake. Uneven braking can also cause your vehicle to slide out of control in bad weather conditions, so contact Raul's Auto Repair as soon as possible. In a disc brake system, rotors are attached to your vehicle's wheels. When the brake pads grip the rotor, they bring both the rotor and wheels to a stop. However, the friction causes grooves and cracks to appear over time. Resurfacing brings the rotor back to a "like-new" condition, reducing squealing and wobbling. Raul's Auto Repair will give your rotors a thorough inspection and recommend your best course of action. Ok, so we all know finding a reliable, trustworthy auto mechanic is like looking for lost treasure: IF its out there, you'll be spending a lot of the time looking. Well Raul's is gold. Raul is the owner and a complete business man with professional service and top quality customer service (and I should know- I work at Nordstrom). I will never go anywhere else. The prices are more then fair and the service is top of the line. I could make a list of all the things they have done FOR FREE. They have loaned me a car, done a diagnostic, checked wiring, picked me up, dropped me off, replaced valves , did research on warranties I could be covered under, EVERYTHING they could without charging me. Last time I picked it up, it had more gas then when i dropped it off. They put GAS in my car and didn't charge me. When does that happen? never. Only at Raul's. I dropped off a 6 pack just because I was that grateful. I've been coming to Raul since I had my first car. He helped me with my water pump and actually saved me $ that other people wanted to charge me for. From that day on, I've been a loyal customer. I always refer my friends and family to him. They do great work and are very reasonably priced. I was referred by NAPA auto parts to Raul's Auto Repair. I am completely satisfied with the service warranty and quality work done on my truck at Raul's Auto, it was repaired and have had no complaints. Thanks Raul's Auto! Great Repair facility! I recommend this shop to anyone looking for a reliable shop to service their cars. The owner is very friendly and will help you out with any problems or concerns that you may have. This is an overall good shop. This is a great place! I always used to hate taking my car in to the shop, but these folks are really down to earth, welcoming and made me feel comfortable. As a woman, I especially appreciate their professionalism. I was treated with complete respect, and they did a great job on my car. I'll be returning as a customer for sure...bye bye pep boys!!! After seeing all the great reviews about Raul's, we took my fiance's car there to fix a fuel leak and were not disappointed. They were great at diagnosing and fixing the problem. They were also very good at communicating and explaining what the problem was. It's tough to find a good, honest mechanic, but now we can stop looking. They even sent us a thank you letter after our first visit! 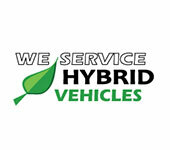 If you are looking for great service don't look no more. My car broke down on the freeway on my way to work. I called Raul's - he had a tow truck, picked me up, and had his son drop me off at work. By lunch time I received a call from Raul saying my car was ready. I don't know were else I would get that service. I have been going to Raul's Auto Repair for the past 9 years. They have earned my trust with their honest and excellent service. Because of my busy schedule, I just leave my cars to them knowing they will always do a good job on them and will only fix whats really needed to be repaired (no extra expenses!) They even give me a ride home when there is nobody available to pick me up! Now that my son and daughters have their own cars, they have stuck with Raul and have recommended the shop to their friends too. I have sent some coworkers to the shop and they have experienced the excellent work they do. Keep up the good work guys!